Plush and anti-pill Loftex™ Fleece. Full zip design with covered zipper & black coil zippers accented with silver zipper heads. Zippered pockets. Stand-up collar with Taslan nylon for wind-resistance. Open hem. 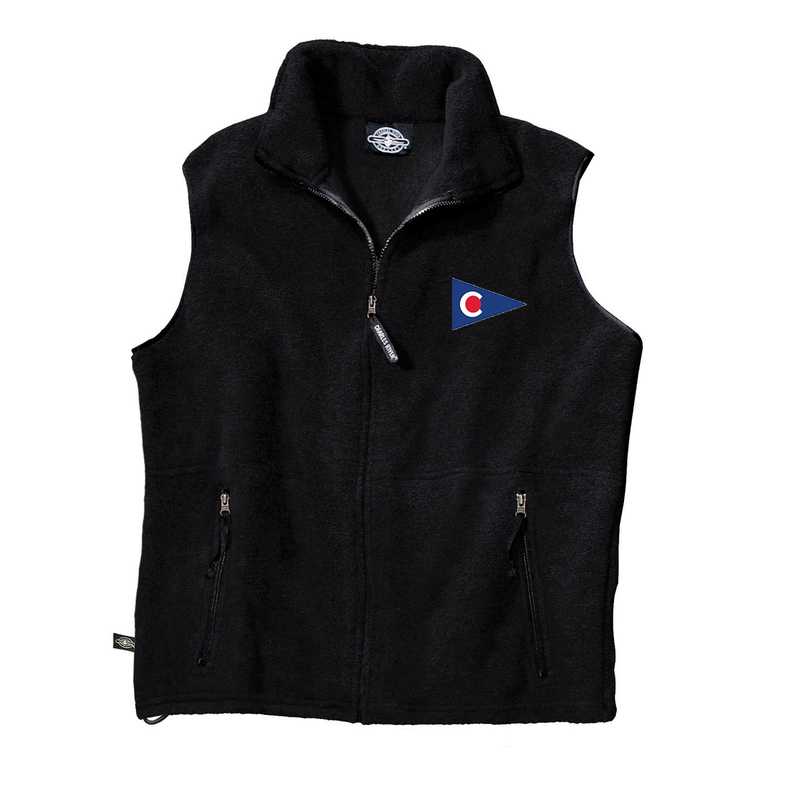 This vest has the Chapoquoit Yacht Club logo embroidered on the left chest.